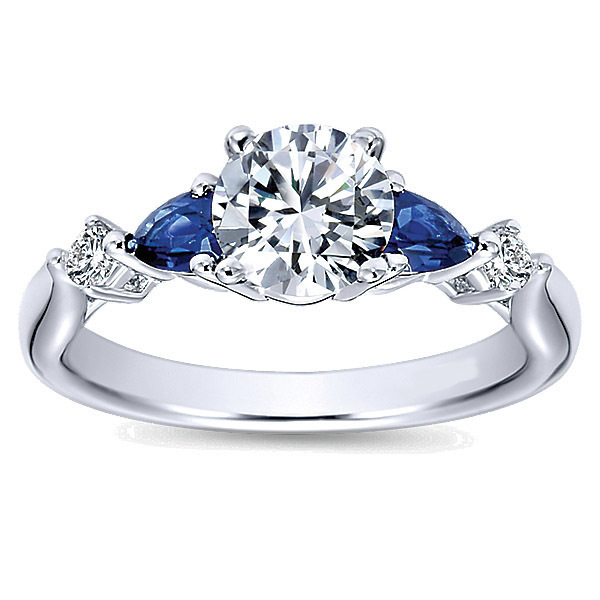 From the designer, Polenza, comes this brilliant diamond engagement ring. 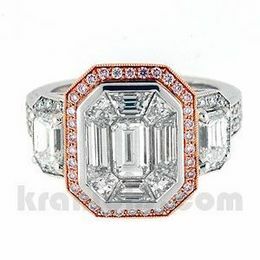 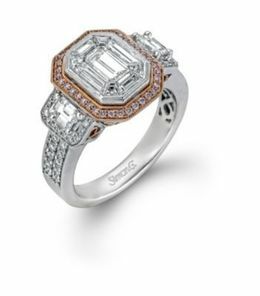 Set in 14 karat white gold, this ring features a total diamond weight of .08 carats. 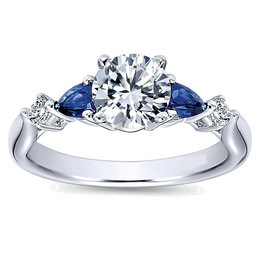 This engagement ring has stunning side accents of pear cut sapphires and breathtaking round diamonds.